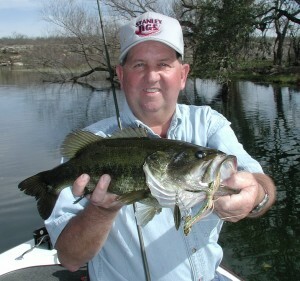 ATHENS—Professional angler Tommy Martin of Hemphill and lure manufacturer and angler Lonnie Stanley of Huntington will be inducted into the Texas Freshwater Fishing Hall of Fame June 2, 2012, at the Texas Freshwater Fisheries Center in Athens. Martin began guiding on Sam Rayburn Reservoir in 1968 and fished in his first tournament the following year. He turned pro in 1972 and won the prestigious Bassmaster Classic just two years later. In 1975 Martin became the first professional bass angler to acquire cash sponsors. He won 19 national tournaments, was a 19-time Bassmaster Classic qualifier and won five B.A.S.S. national titles. He also competed in FLW Outdoors events and qualified for both the Forrest L. Wood Cup and the Stren Series championship. Martin helped found Texas Black Bass Unlimited, a Texas conservation organization that played a key role in developing the Texas bass fishery into the best in the nation. 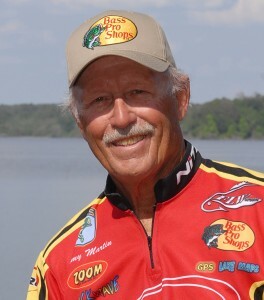 He was inducted into the National Bass Fishing Hall of Fame in 2003. Stanley, owner of Stanley Baits, Inc., started building jigs in 1979 after winning a tournament on Toledo Bend Reservoir with one he’d made. In 1980 he founded Stanley Lures, manufacturing jigs, spinner baits and other products. While continuing to build jigs in his garage in College Station, he won six more tournaments in 1980 and 1981. Innovative ideas such as interchangeable skirts, silicone skirts and multi-colored skirts helped Stanley build his company into a multi-million-dollar organization. Part of his success sprang from his prowess as an angler and five-time Bassmaster Classic qualifier. Stanley co-hosted ESPN’s “Sportsman’s Challenge” television series for 18 years. Both Martin and Stanley are noted for giving back to the sport by working with conservation groups, appearing at youth events and giving generously of their time to charitable fundraisers. They both also worked with Paul Hinton, the founder of East Texas Get Hooked on Fishing—Not Drugs. Nine other individuals or organizations were nominated to the Texas Freshwater Fishing Hall of Fame this year. They include the Lake Fork Sportsman’s Association, Yantis; the Concho Bass Club, San Angelo; Dicky Newberry, Houston; Mark Howell, Wichita Falls (deceased); Bill Carey, Pottsboro; Barry Stegall, Portland; Dr. Bob Ditton, College Station (deceased); Edward Parten, Kingwood; and Bill Higdon, Cedar Park (deceased). In addition to the Hall of Fame, the Texas Freshwater Fisheries Center includes a visitor center, production hatchery, stocked casting pond, wetlands trail, fishing museum and dive theater. It is the home of the Toyota ShareLunker program, which uses selective breeding to increase the number and size of trophy bass in Texas public waters. Lightnin’- Bluesman Sam Lightnin’ Hopkins had ties to Houston County. A statue was erected in his memory across from Camp Street Café in Crockett. Locals say Hopkins played on the street and in establishments along Camp Street in his youth. Camp Street was in the center of the Black Business District in Houston County. Hopkins music was heard from Camp Street all the way to Carnegie Hall. Lightnin’ Hopkins recalled Houston County, none too fondly, and mentions it in his music. Hopkins sang about serving on a chain gang for the county. Murchison, Texas- Meet the Cleveland Amory Black Beauty Ranch residents, all rescued from abuse and neglect and now living in peace and safety. Cleveland Armory Black Beauty Ranch will open its doors on Oct. 17 so visitors can meet and learn about the nearly 1,000 formerly abused, abandoned and neglected animals cared for at this sanctuary. 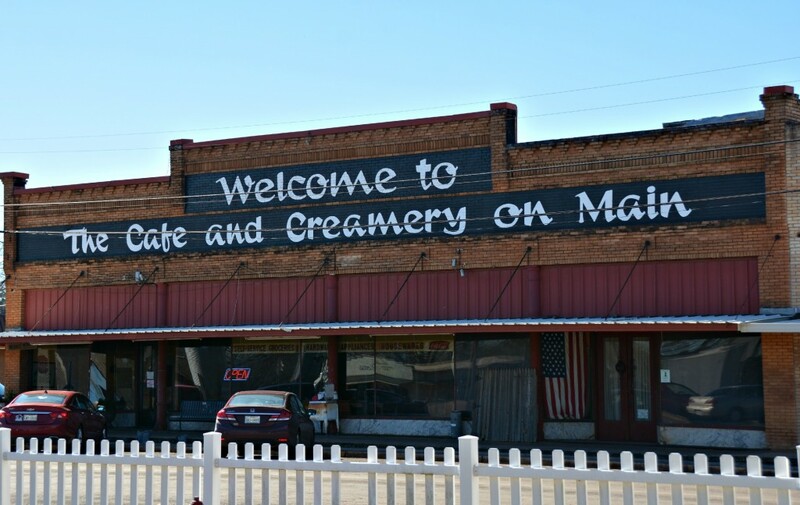 Grapeland, Texas- If you like your home-style cooking with a side of history, then you will love the Cafe and Creamery in the Queen City of the Sand Flats. Once a dry goods, grocery and furniture store, today the Cafe and Creamery is serving up groceries, rather than supplying them.